OnePlus has officially given us a date for when the OnePlus 5T will be announced. We've known about most of the specs for a while, and we just found out about the potential pricing, so a release date is the final piece of the puzzle. Consider this puzzle solved. Today, OnePlus teased the release date, the announcement day, and the location of the launch event. 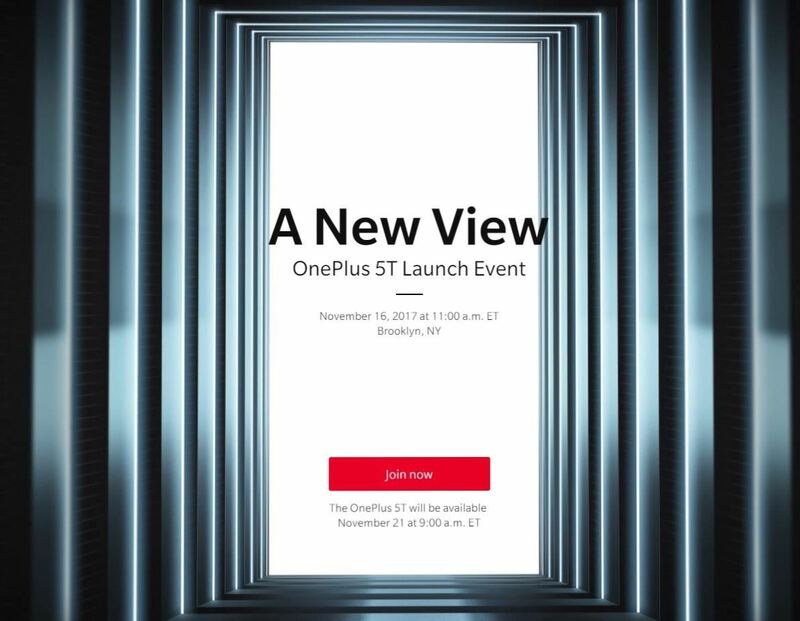 On November 16, 2017, at 11 AM in Brooklyn, NY, OnePlus will launch the 5T. We also learned that OnePlus is selling tickets to the event for around $40. Not only will you gain access to the event, but also receive their popular backpack and over $65 worth of OnePlus swag. According to XDA, the venue is the Villian in Williamsburg, Brooklyn. Tickets won't be available until November 8, but you can use this link to purchase tickets when the time comes. Tucked neatly at the bottom of the above teaser image is another juicy tidbit — the OnePlus 5T will be ready for purchase five days after the launch event, meaning the official release date is slated for November 21 at 9 AM EST.